Floyd Mayweather is not coming to the UFC. Mayweather set the internet on fire when he seemed to imply he was seriously considering a huge deal with the UFC that could net him up to a billion dollars. Yesterday UFC commentator Joe Rogan said he’s in negotiations with the promotions for potential UFC run. Everyone thought it seems legit, until UFC president Dana White confirming itself Floyd’s interest, Well, it looks like all of that is over now. After fanning those flames of signing a deal with UFC, “Money” today clarified through a statement via FightHype he didn’t actually said he was going to fight in the UFC. 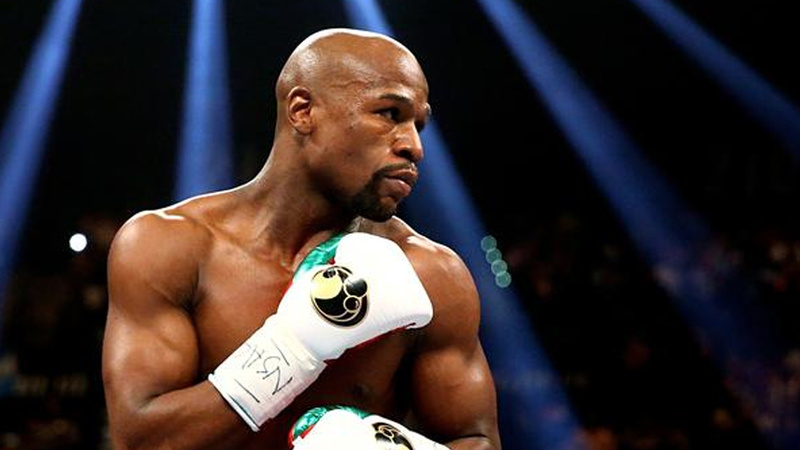 Mayweather is one of the biggest stars in combat sports history. He’s participated in the three highest selling PPV matches in boxing history, including an August bout with UFC lightweight champion Conor McGregor. So it’s probably a good thing for Mayweather that he’s backing away from this idea. He doesn’t have any intention of transitioning into MMA with the UFC, he just wanted to let everyone know that if he did, he’d be able to net billions. Next articleAlaskan Wildman Cody McKenzie Refused Drug Test at Venator Kingdom, Suspended from Doing MMA in Europe?? ?